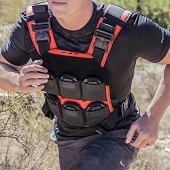 With our unique in-house manufacturing processes and ability to acquire material made to our specifications, we’ve set the standard for ballistic steel core body armor. Utilizing industry leading spall and fragmentation mitigation coatings we've further increased what's possible with ballistic steel. Our products are available through our website and authorized dealers throughout the United States. AR500 Armor® is a privately held business; Our Headquarters, team members, and manufacturing facility are located in Phoenix, Arizona. We would like to extend a sincere thank you for taking the time to visit our website. Should you have any questions please don’t hesitate to let us know. Contact us here. AR500 Armor® takes the safety of our customers seriously. To view Safety Notifications click Here.